Cove Park’s unique programme of residencies, commissions and collaborative projects respond to and support the diversity of contemporary artistic practice in all the art forms. We host national and international artists from all cultures and career stages. We create a supportive and stimulating context in which new work and ideas can be developed, tested and shared. The bespoke and award-winning spaces we provide for residents and visitors to live, meet and work in, are located on an outstanding site overlooking Loch Long and the Firth of Clyde, just one hour from Glasgow, on Scotland’s west coast. Founded in 1999 by Peter and Eileen Jacobs, Cove Park is a charity funded by Creative Scotland, by trusts and foundations and by the generosity of individuals. Since 2000, Cove Park has hosted over 1,500 artists and our former residents include Margaret Atwood, Ann Carson, Abraham Cruzvillegas, Mariana Castillo Deball, Alasdair Gray, Beca Lipscombe, Tom Morris, Ciara Phillips, Elizabeth Price, Charlotte Prodger, Simon Starling, Christos Tsiolkas, Louise Welsh and Jan Verwoert. We develop residency programmes in partnership with leading national and international companies, art schools and organisations, including Arts Initiative Tokyo, Fuel Theatre, Glasgow School of Art, The Lighthouse, National Theatre of Scotland, The Royal Opera House and Sadler’s Wells. 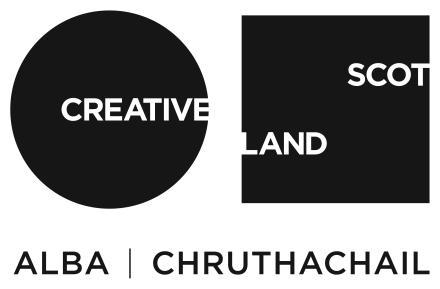 We host and facilitate residencies devised and led by prominent organisations, such as BBC Scotland, Cryptic and Playwrights Studio Scotland. We also commission new work and work collaboratively with partners on major international projects such as Scotland + Venice 2019. A theatre producer and director in the United States, Julian returned to the UK in 1984 to run Anthony Quayle’s touring theatre company, Compass. He then became freelance, with Prudential Awards for the Arts, the Royal Opera House, Dean Clough, Northern Ballet Theatre and the Paul Hamlyn Foundation among his clients. He has been involved with Cove Park since 2000. Vanessa joined Cove Park in March 2017. She has a background which is cross art form with a focus upon creative learning. Vanessa has previously worked at Glasgow Film Theatre, The Lighthouse, The Village Storytelling Centre and most recently the Macrobert Arts Centre in Stirling. Catrin joined Cove Park in 2015 as Assistant Director, moving to the new role of Partnerships Manager after her return from maternity leave in 2018. Having studied at Sussex University and the Actors’ Company, she has a background in theatre and has been a cross-discipline producer for ten years. Previous projects include the ground-breaking Inspiring Change project which brought national arts organisations into Scottish prisons, NVA’s Speed of Light and Glasgow 2014’s Commonwealth Games Ceremonies. Emma Henderson joined Cove Park in 2017. She is a print and pattern designer and illustrator based in Helensburgh. Since graduating from Glasgow School of Art she has combined her passion for design, screen printing and patterns into a bold and eye-catching fashion and home wears brand. Selling nationally and internationally, clients have included Anthropologie, Whole Foods Market, Paperchase and Fenwiks. Emma’s first textile design collection was selected for the Scottish Show during the six cities design festival and subsequent commissions have included We are What We Do, Graham & Brown and Urban Outfitters. Prior to studying at Glasgow School of Art Emma worked at BAFTA Scotland and The Lighthouse while working on features film and TV productions such as ‘The Magdelaine Sisters’ and Book Group. Rebecca DeWald is a bilingual translator, editor and project coordinator with a PhD in Translation Studies from the University of Glasgow. Her work plays with words in English, German, French and Spanish, often in translation – some of her literary translations have been published by the Free Word Centre, No Man’s Land, and Edit – Papier für neue Texte, and can be found on her website. She co-edits the Glasgow Review of Books, and coordinates the Edwin Morgan Trust’s translation workshops, as well as the monthly translators’ lab, Translators’ Stammtisch, at the Goethe-Institut Glasgow. She also contributes to New Books in German, PEN Translates, 12 Swiss Books, Reading in Translation and the SALSA collective, and co-curates and stages translation performances under the moniker Found in Translation. Maeve Redmond is a graphic designer with a studio based in Glasgow. A graduate of The Glasgow School of Art, she works with many artists and cultural institutions, with clients including The Common Guild, Glasgow Women’s Library, Panel, Platform, Serpentine Galleries, Book Works and most recently V&A Dundee. Maeve is also a visiting lecturer in graphic design at The Glasgow School of Art and Edinburgh College of Art. She joined Cove Park in December 2017 to produce its Craft & Design residency programme. Lauren is an arts writer, critic and lecturer. She recently served as Chair of CCA Glasgow for seven years — and on the Boards of Outset Scotland, David Dale Gallery, Market Gallery and on the Friends Committee of Glasgow School of Art. She was Director of The Kitchen centre for video, music, dance, literature, film and art in New York City during the 1990’s and a founding consultant/curator of the ZKM Interdisciplinary media arts centre in Karlsruhe, Germany. Aly Barr is currently Deputy Director/Head of Operations of The Scottish Poetry Library (SPL). After several years as a touring musician, Aly joined Waterstones as Events and Marketing Manager. Following that, he became a rep for Penguin selling books to bookshops from Dumfries to Thurso, eventually co-founding a new imprint Penguin Scotland. In 2005 he joined the Scottish Arts Council Literature team leading on publishing and translation as well as becoming lead officer for the Scottish Poetry Library. Before joining the SPL, Aly was Creative Scotland’s Acting Head of Literature, Languages and Publishing. Max Carruthers has spent 40 years in the insurance industry, mostly at COO or CEO level. The roles have ranged from loss adjuster to Lloyd’s Broker to underwriter. Common themes have been operational management, the cost effective use of technology to create trading advantage, the use of data for competitive advantage and a unique experience in mergers and acquisitions. Apart from the role of COO at Axa, from the mid 1990s onwards virtually all roles have been in businesses backed by private equity. In 2013 he “retired” and set up his own consultancy to support business in his areas of specialism. He is chairman or NED of several leading private equity backed companies in insurance and technology as well as being a founder or enthusiastic supporter of several technology start-up companies in the financial services and data arenas. He also helps run two family businesses in Argyll. Max lives in Cove. Roberta Doyle has held senior management roles in marketing, communications and fundraising within Scotland’s largest cultural organisations including as Director of External Affairs with National Theatre of Scotland. Previous roles included Director of External Affairs with Scottish Opera, and Director of Public Affairs with the National Galleries of Scotland. Roberta has served on many boards and working groups including Glasgow School of Art, the Tron Theatre, The British Council Cultural Diplomacy Group, and Theatre Babel. She has lectured and given papers widely in the UK and abroad on strategic issues relating to performing and visual arts audiences, marketing, communications, audience development and cultural industry management. Francis McKee is the Director of the CCA in Glasgow and a tutor and research fellow at Glasgow School of Art. From 2005 to 2008 he was also curator of Glasgow International Festival of Contemporary Visual Art. He has curated many exhibitions including This Peaceful War, The Jumex Collection for the first Glasgow International in 2005; Zenomap (together with Kay Pallister), the presentation of new work from Scotland for the Venice Biennale in 2003; and he was one of the curators invited to contribute in Lyon Biennale 2007. Carol Sinclair is the former Director of TRC Media with overall responsibility for the strategy and operation of TRC media’s activities. Carol was previously with Scottish Television, which she joined in 1984, holding various executive positions throughout her 14-year period with the company. Posts held included SMG’s Business Manager and Head of Broadcast Services. She also oversaw the company’s scheduling strategy, market planning, audience research, on-air promotion and programme acquisitions. Eileen Jacobs co-founded Cove Park with her husband Peter Jacobs. She worked as an Occupational Therapist in the NHS, followed by forty years working in the Voluntary Sector while bringing up her children. Always interested in contemporary art, she makes sculptures and ceramics. Since 2000, she has been on the Selection Panel for Cove Park’s Visual Art and Craft Residencies and she is a Trustee of Cove Park.